A dedicated high-density, high-contrast dry film for optimum image quality in digital mammography, designed to be used with the DRYSTAR 4500M imager. Flawless image quality for digital mammography. Outstanding productivity with high-volume use. Low fog and high contrast. Very easy and convenient to load and use. Designed for use in combination with Agfa HealthCare’s DRYSTAR 4500M dedicated mammography imager, the DRYSTAR Mammo film produces the very highest diagnostic quality hardcopies, enhancing the perception of details. With its high Dmax (> 4), even the most subtle gray-level changes required for mammography applications can be visualized. DRYSTAR Mammo film is composed of a 175 micron-thick PET base and coated with silver salts and a protective layer, making it resistant to scratches and moisture. The PET base with rounded corners ensures that the film can be handled in the same way as regular X-ray films. The silver based imaging layer, which is heat-sensitive not light-sensitive, guarantees low fog and high contrast. Dry imaging technology offers very easy and convenient operation. Loading the DRYSTAR Mammo film into the DRYSTAR 4500M imager is as simple as inserting a diskette into your PC. You don’t need any wet processing or darkroom: eliminating cleaning products, time-consuming adjustments and chemical disposal. In addition, the DRYSTAR Mammo film packaging is fully recyclable. The DRYSTAR 4500M features two film trays, bringing both media sizes (8 x 10″ and 10 x 12″) permanently on-line. This means that films of different formats do not need to be continuously re-loaded, which makes for a smoother workflow. Additionally, the DRYSTAR 4500M’s high throughput of 80 films/hour (for 8 x 10″) and 60 films/hour (for 10 x 12″), ensures improved productivity ideal for high-volume customers. 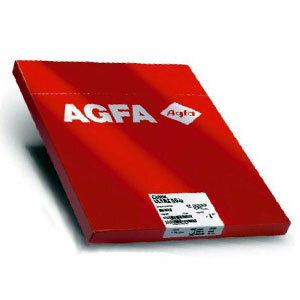 The recommended humidity control for DRYSTAR films is between 30 and 60%. avoid exposure to excessive high temperatures and intense light. 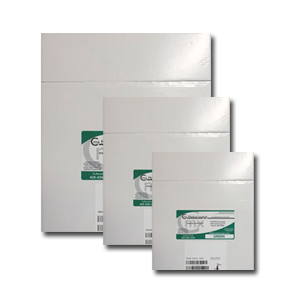 Store the images in the original packaging or other appropriate protective film envelopes at max. 25°C.